This is a well kept Classic sport fisherman located in Freeport Bahamas and Bahamas duty paid. She is ready to go get some fish. 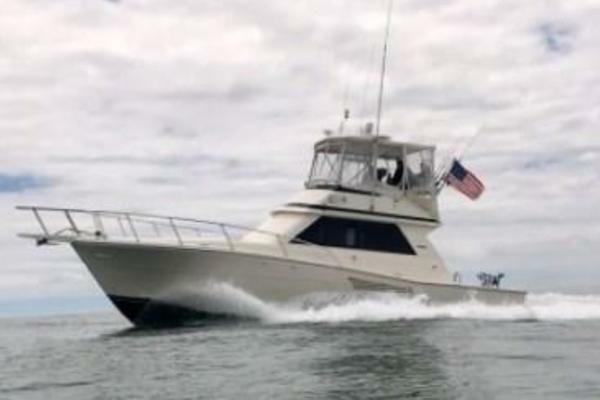 West Florida Yachts would love to guide you through a personal showing of this 46' Bertram Sport Fish 1977. 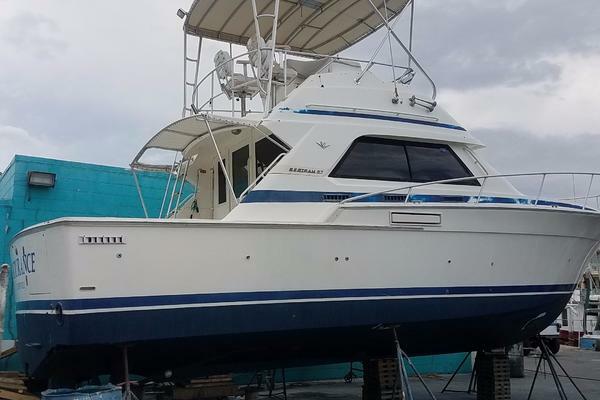 This yacht for sale is located in Freeport Bahamas and priced at $130,000. For a showing please contact us by filling out the form on this page and we will get back to you shortly! V berth forward, separate cabin with two twin beds and private head/shower, pull - out sofa bed in salon, entertainment center in salon, all new cushions & curtains. Robertson Auto Pilot, new loud hailer/intercom, VHF at helm and in cabin, Rayline electric searchlight, Pioneer CD player. New 12KW Kubota Gen Set, new batteries, Halon fire system, engine oil change system, cruise air AC Systems. The teak cockpit deck has been replaced with a solid fiberglass deck. Marlin Tower w/ wheel and controls, Rupp outriggers, Flying Gaff, Flip up cockpit sun dodger. Health/mobility forces sale. Owner wants smaller flush deck, twin diesel fishing machine - reasonable trades may be considered.